Soft skills such as train-the-trainer, leading, team building, conflict resolution, problem solving, etc. 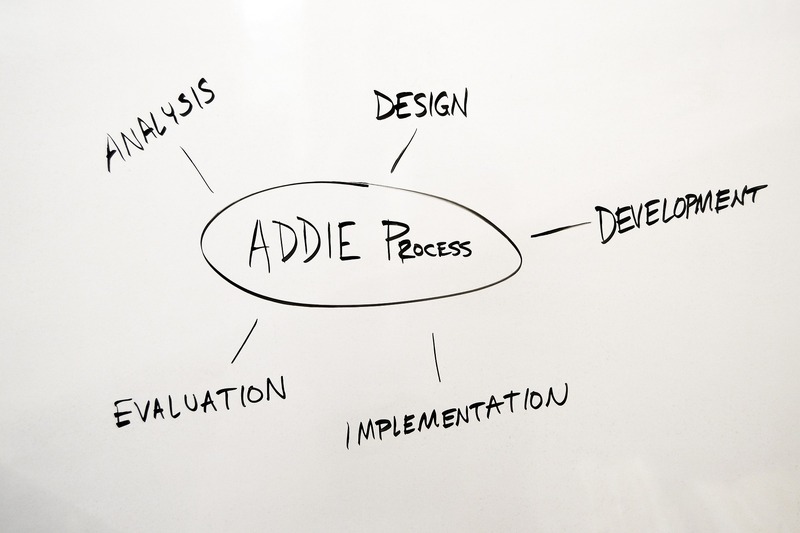 We tackle all new projects following a proven six-stage Instructional Design Process methodology known as the ADDIE model. The process ensures a quality and cost efficient product every time with appropriate customer and Subject Matter Expert buy-in and project delivery that is on-time and on-budget. We begin the instructional design process by meeting with the client to assess training needs, develop a profile of the training audience, and identify desired training outcomes. We define the training architecture and strategy. We start by writing the learning objectives and the criterion tests that verify that learners have mastered the objectives. Then, we create design documents describing the overall course structure, media, and methods used to ensure learning. The instructional designers work with technical writers, graphic designers, and editors to develop the courseware, participant manuals, instructor guides, job aids, video, and computer-centered learning modules from the approved design. We finalize the courseware, conduct pilot training sessions, and do usability tests to evaluate the training program. The design team trains the organization’s instructors in the use of the courseware. The team provides instruction on administering the training, facilitating classroom situations, and using the instructor guide and other training media so that instructors are able to deliver the new program professionally. We monitor the performance of the training program. Team members evaluate performance data against client benchmarks, and revise the program over time as needed.